When SSIS first came out there were huge numbers of jokes and posts about all of the problems and how everyone thought DTS was much better and did they really have to switch? Over the years I’ve come to appreciate SSIS. It is a very powerful and useful tool that can do some amazing things. Certainly the recent versions of SSIS have shown huge improvements. Unfortunately some of the biggest complaints I had back in the beginning I still have today. One of those is just how version specific it is. On the execution side things aren’t too bad. Later versions of dtexec will “temporarily” upgrade a package in order to run it in their version. When editing, however, there is no backward (or forward) compatibility at all. If you open a lower version of SSIS in the tool for a higher version (Data Tools or Business Intelligence Development Studio) then the package is upgraded. Once it’s upgraded there is no going back. The only option to downgrade the package is if you have a backup or an older copy. And you certainly can’t open an SSIS package from a later version than the tool you are opening it with. This can lead to some problems if you are supporting multiple versions of SSIS. If you have several dozen SSIS packages and you don’t have some sort of naming or placement scheme to make sure you know what version each package is you could easily get into trouble. Let’s say you are helping out a co-worker with their SSIS package. They have SQL 2008 installed and that’s the version of the server where it’s currently running. You open it but forget that you are actually running Data Tools for SQL 2012. You fix their problem but you weren’t paying attention and didn’t notice the “I’ve automatically upgraded your package” message. Your co-worker is thrilled! Until the next day when they let you know they were woken up at 3am because their package just started throwing error messages. Something about the wrong version? Oops. Hope they have a backup somewhere. There has to be a tag somewhere in the DTSX file that says what version of it, and since SSIS packages are stored in an XML format we should be able to find it pretty easily. If you open the DTSX file in a text editor (or IE, or any other xml viewer) you can find a tag PackageFormatVersion near the top of the package. That property will tell you which version of SSIS this package belongs too. Below I have a nice little table with the PackageFormatVersion for each version of SQL and as a nice bonus which version of Visual Studio each uses as well. So if we have Visual Studio 2010, then we cannot upgrade our SSIS packages to SQL Server 2014? Remember that the SSIS components of Visual Studio are specialty components that are installed with the SQL Server tools install. To the best of my knowledge (and I’m willing to be proven wrong) you can’t create/upgrade an SSIS package using native Visual Studio. After installing SSDT for VS2015 latest released on 4th Feb 2016. it got installed properly and BI template added in VS 2015 for new project. after creating NEW SSIS project, it gave me error “The located assemblys manifest definition does not match the assembly reference. (Exception from HRESULT: 0x80131040)” SSIS package is not opening. I’m honestly not sure. I suspect it’s a problem with multiple versions of the tool being installed and your path variable is telling it to look in the wrong one first but I can’t be sure. 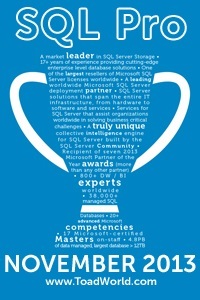 I would suggest posting this on one of the forums dba.stackexchange or sqlservercentral.com to get the best answers. I have seen that a few times. Uninstalling the SSDT 2015, reboot and reinstalling fixed it every time we saw this. Yep. Comes in handy from time to time. I’ll be adding 2016 soon. Yeah true. Actually dealing with the ‘To run a SSIS package outside of SQL Server Data Tools you must install’ error right now…never had to deal with before. Our uat box does not have is svc running, and prod does. It’s erroring in uat. I had a package in SSIS with LastModifiedProductVersion of 10.50.6000.34 from production. I then worked on it and it saved it and it made LastModifiedProductVersion 10.50.1600.1. I am using 2008 Visual Studio and SQL Server 2008r2. So I updated the SQL Server with the service pack 3. I then rebuilt my package but the LastModifiedProductVersion is still 10.50.1600.. How can I make it the same as it was? Sorry for the delay answering. Honestly I wouldn’t worry about it. It shouldn’t affect your usage at all. My understanding is that packageformatversion is all that matters. That said remember that a dtsx file is nothing more than an XML file. Editing it is pretty easy. From what I understand BIML is also useful solution. You can convert into BIML then back to any SSIS version you choose. How can I do this in bulk? Let’s say that I have a folder of about 100 DTSX packages. Let’s also assume that I don’t have BIDS or SSDT installed. Are there any 3rd party tools that can crawl a folder of SSIS package and tell me what SQL version they all are? Not that I know of. You could write some PoSH code to traverse the XML but that’s probably the easiest method I can think of. I have posted a question on DBA Stack Exchange seeking help. Useful info! However, I had focused on the CreationName instead of the PackageFormatVersion. Cool 🙂 I have to admit I haven’t looked that closely at the vast majority of the tags in SSIS. There are certainly plenty of them. Also noticing that an install of SQL Server 2014 generates some standard SSIS packages in the msdb database: “TSQLQueryCollect”, “SqlTraceCollect”, “PerfCountersUpload”, etc. They have a PackageFormatVersion of 7 with a CreationName of “SSIS.Package.4” . I’m not sure which version of Visual Studio these reflect.